Now let’s spend some time getting to know Victor better! 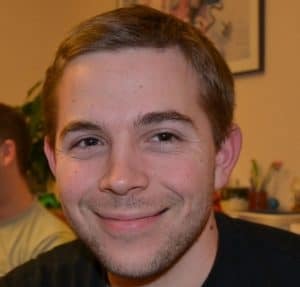 Hi, my name is Victor Stinner, I’m working for Red Hat on OpenStack, and I’m a CPython core developer since 2010.
style, and all tiny stuffs which make a software a “good software”. After 10 years of professional programming, I can now say that I spent more time on reading “old” code and fixing old complex corner case, than writing new code from scratch. Having an extensible test suite makes me more cool. Having to work under pressure without straps is likely to lead to burnout, or more simply to quit a job. On CPython, I spent a lot of time on fixing Unicode in the childhood of Python 3. Nowadays, I’m working on multiple projects to make CPython faster. The very good news is that CPython 3.6 is now faster than 2.7 on most benchmarks, and CPython 3.7 is already faster than CPython 3.6! In short, Python 3 is finally faster than Python 2! Last year, I spent a lot of time on a “FASTCALL” optimization which avoid the creation of a temporary tuple to pass positional arguments and a temporary dictionary to pass keyword arguments. More than 3/4 of my FASTCALL work is now merged into CPython. When a function is converted to FASTCALL, it becomes usually 20% faster, and the conversion is straightforward. See also the perf project that I created to make benchmarks more reliable. It’s a Python module to write a benchmark in two lines of code. The module provides many tools to check if a benchmark is reliable, compare two benchmarks and check if an optimization is significant, etc. In the Python standard library, I like the asyncio, argparse and datetime modules. The asyncio is a very nice integration of cool things: efficient event loop for network servers and Python 3 new async/await keywords. Not only asyncio has a nice API (no more callback hell! ), but it also have a good implementation. For example, few event loop libraries support subprocesses, especially on Windows IOCP (the most efficient way to do asynchronous programming on Windows). My hope is that Python will stop evolving, I’m talking about the language itself. During the slow transition to Python 3 which took years, I realized how much users like that Python 2.7 stopped evolving. Not having to touch their code is seen as an advantage, compared to fast-moving libraries or even programming languages. Since packaging now runs smoothly with pip, it became easy to have external dependencies. The advantage of external code is that it can move much faster than the Python standard library which is basically only updated every two years with a major Python release. Even if I dislike evolutions, I have to admit that the recent additions to the language are really cool: generalized unpacking, async/await keywords, f-string, allow underscores in numbers, etc. In the meanwhile, I’m always impressed by all the work done in each Python release. Even the Python language is still evolving. Facebook decided to use Python 3.5 only to get the new async and await keywords with asyncio! Python 3.6 adds even more things: f-string (PEP 498), Syntax for Variable Annotations (PEP 526) and Underscores in Numeric Literals (PEP 515). By the way, many people are complaining against type hintings. Some see them as “non pythonic”. Others fear that Python becomes a boring Java-like language. I also know that type hintings are already used in Python in large companies like Dropbox and Facebook, and they are very helpful for very large code bases. The cool thing with Python is that it doesn’t enforce anything. For example, you can design a whole application without using objects. You can also ignore completely type hintings, they are fully optional. That’s a strength of Python!